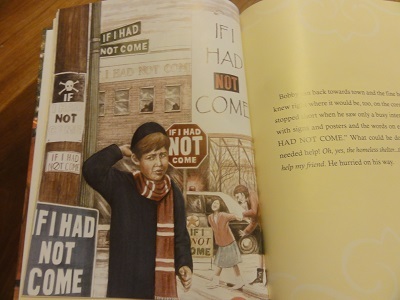 If you are looking for Christmas stories to read with your children or grandchildren, If He Had Not Come by David Nicholson is one you will want to add to your book list. This book is beautifully written and brightly illustrated. It is written for kids ages 6 and older but it is very relatable for both kids and adults of ages. David Nicholson has re-written a classic story for his children and grandchildren, and for children everywhere to contemplate the Christian message of Christ’s birth. David is an author, teacher, and missionary from St. Paul Minnesota. Many years ago, he heard the story written by author Jan Week’s during a class at church, and began telling it too his children. One day he decided to re-write the story with full illustrations to retell it to his grandchildren and future generations of children, and decided to write this wonderful book. He falls asleep and dreams about his life in a parallel universe absent of Jesus. People are mean to each other, and life is dark without light, and there is no joy. Everything he knew before had changed, people, places, and there was no charity in people any more and no hope. Even his church and the charity organizations like the homeless shelter and the local orphanage was gone. In his dream he went home and picked up his bible, but it was blank and only read “if he had not come”. When he wakes from his dream, he understands the impact Jesus has had in the earth and in his own life. He prays to God for forgiveness and asks Jesus into his heart and dedicates his life to God. We had a great time reading this book. There are discussion questions and a bible study in the back of the book that is helpful for Sunday School classes as well as for the home setting. 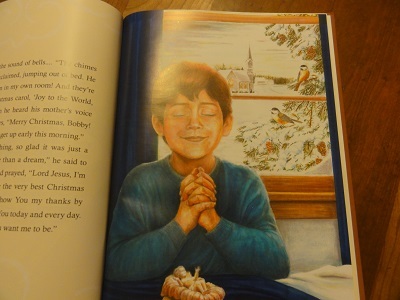 The book also lists the steps to salvation through Jesus. The message of our life with Christ and what it would be like without him is one everyone needs to hear. Reading this book aloud at Christmas will be a new holiday tradition for us as we prepare to enjoy and understand the reason we celebrate Christmas. We give gifts to one another because we love each other. But God loved us first. God gave us Jesus. Jesus is the best gift of all in this life. He can live in your heart if you will believe he is the son of God sent into this world by God to redeem you from sin and eternal separation from God, to a right relationship with God both in this life, and in eternity. Be sure to follow David Nicholson’s social media links for If He Had Not Come for all the latest news and updates. Check out what other families on the Schoolhouse Review Crew had to say about using this book in their home with their family. 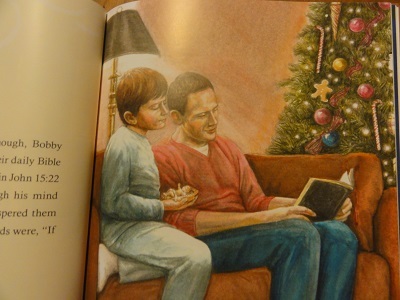 This entry was posted in Christmas, If He Had Not Come, Review Books and tagged Christmas, Christmas book, Christmas story, Family reading time, Gift, Grandparents read, Read aloud on November 6, 2014 by Melinda Weiser.